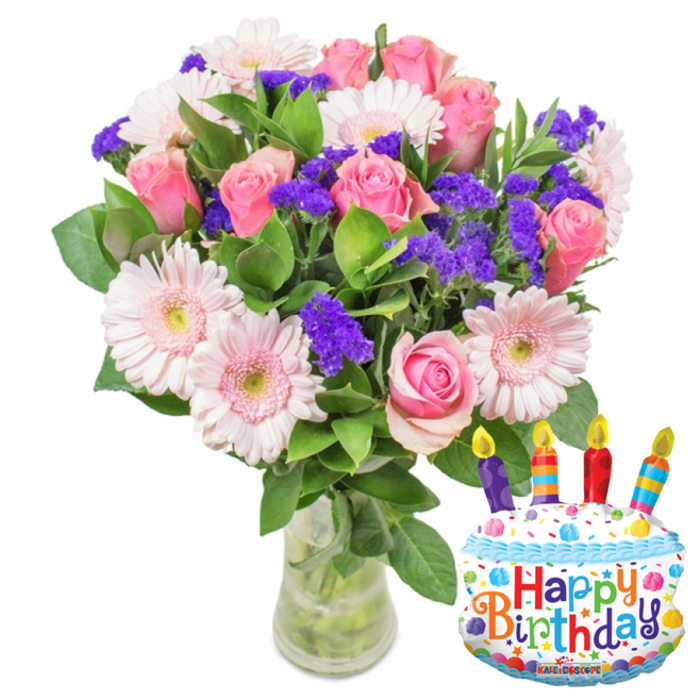 Send your very best birthday wishes with the most joyful combination of flowers and balloon. This selection of roses, germinis and statice flowers is creating a lovely floral display that will certainly brighten their special day and make it a one to always remember! Delivered flowers last minute using same day flower delivery to mum. She remarked about their firm, green stems and clever design, so I'm happy. Very impressed with the stupendous flower arrangement. Nothing has ever come close to being so beautiful. My wife was over the moon, I appreciate your timely and professional delivery! Wonderful surprise for my birthday. Thank you very much!